We’ve all heard of social media marketing before. Businesses should be on social media, professional individuals should be on social media, social media is the new way of marketing, everything. Of course, there’s “The Big Three”: Facebook, Twitter and LinkedIn. All are very important to be knowledgeable about and to be involved with. But there’s one social networking site that has enormous potential for businesses, organizations and professional individuals, and that’s Instagram. Instagram is a great resource for marketing personal or professional brands. If you’re still not sold on the site, we’ve got some reasons why you should be on Instagram. Here’s the truth: Instagram is a massive platform with millions of users that are just waiting to connect. 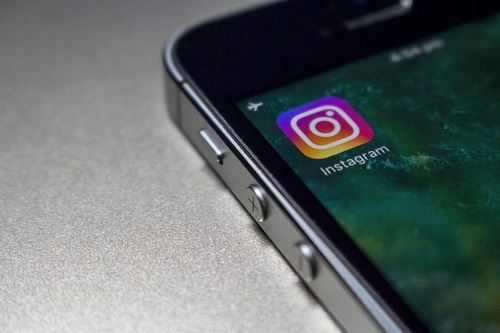 According to the Huffington Post, Instagram has over 500 million monthly active users and more than 300 million daily active users. It generates about 4.2 billion likes a day, with over 95 million photos or videos shared daily. This breaks down to about 216,000 photos posted every second on the site. That’s a whole lot of people, businesses and organizations connecting. Engaging on Instagram gives you the opportunity to find and meet these users, and share your brand with them. If you or a business is already on Facebook, Twitter or LinkedIn, you may be wondering: “Why do I need another social media site?” Existing across different media gives you the chance to connect with various individuals on different channels. You’re able to build a more solid relationship when they see your imagery on different sources. Rather than being that one weird Facebook account they followed a few years ago, you can be the Instagram account that’s posting new, engaging content, and really making them feel connected to the brand. Finding new users and connecting across different channels also allows you to engage with more followers. Many businesses will offer photo contests on Instagram. This means users are going out, taking pictures and promoting the business—often on their personal Instagram account to their own followers. Commenting, tagging and now the new stories feature on Instagram also allows you to share fun, interesting, engaging information with followers that may be slightly different than what you would share on other social networking sites. You have the opportunity meet followers where they’re at, and share your content with them on a relational level. Finally, marketing a business or personal brand better is never going to hurt sales. Building up networks on a new platform is going to show more people who you are, and they’re going to be more inclined to build a professional relationship with you. Draw in consumers and constituents and generate new sales new connections or business sales. If you’re not on Instagram yet, give it a try. Try out some new social media marketing tactics and see how they benefit your personal or professional image. Because the more you connect, the more you can grow.